Looking for an opportunity to swap ideas and feel part of a community in a relaxed environment? ‘It took me a long time to understand it was not all about my child. I also need to have a little bit of time for myself’ says one mum. 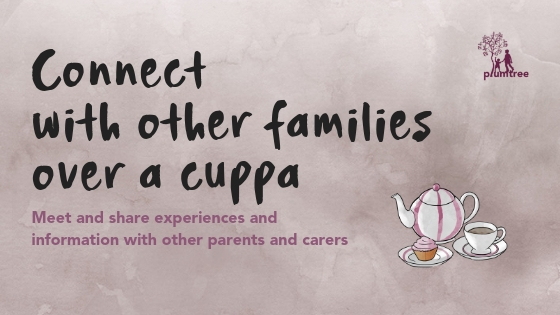 MyTime is for parents and carers of children with a disability, developmental delay or chronic medical condition. It’s a place for you to unwind and talk about your experiences. It’s a world away from appointments and therapy. And while you attend your group led by a trained facilitator, a play helper will engage your pre-school aged child. 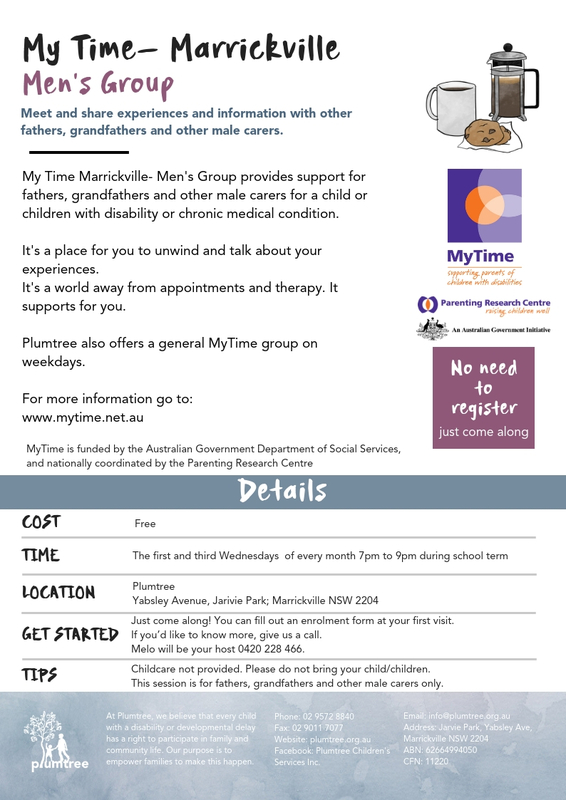 Mum’s are not the only ones to have all the fun – there is also a MyTime Marrickville men’s group.